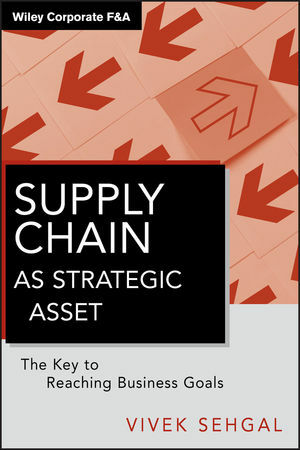 My second book on supply chain was released over this weekend. It is titled, “Supply Chain as Strategic Asset: The Key to Reaching Business Goals”. This book investigates the relationship between some of the well-known business strategies and how they affect the selection of the supply chain strategy. As technology is the de-facto enabler of business capabilities in current times, therefore, the book also provides a good overview of the prevalent practices in developing and pursuing effective technology strategy that will best support the business needs. The objective of this book is to explore the relationship between the three strategies: business strategy that sets the goals, supply chain strategies that define the business capabilities to achieve the business goals, and the technology strategy that enables building the business capabilities effectively. I believe that senior executives who understand this synergistic relationship can transform their companies most effectively by prioritizing the capital investments that are fully aligned with the business goals of the firm and hence provide the best returns on the investments. The book is full of real-life cases from the industry supporting the view points presented to create an effective supply chain strategy. © Vivek Sehgal, 2011, All Rights Reserved. Want to know more about supply chain processes? How they work and what they afford? Check out my books on Supply Chain Management at Amazon.